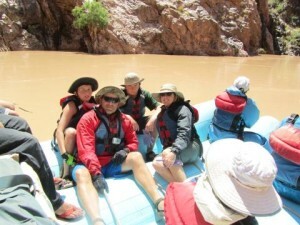 This was my 3rd trip with Western River Expeditions down the Grand Canyon. They didn't let me, my family or friends down. It is an outstanding trip. The Colorado River, white water rapids, water falls, slot canyons, hikes, and views were second to none. The Western River Guides were 1st class and were very knowledgeable with the history of the canyon and the geology of the formations that all around you. I heard nothing but very positive feedback from my friends and family on the trip. There is already talk about our next trip with Western River Expeditions.